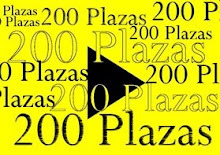 !Liberen las plazas!!! heeeee, o por lo menos ponganles un buen abogado!!!! y la ultima es que ahora estan terminando de enrejar el frente del congreso. I would like to inform you about my new mail art call: Otto von Bismarck. Send your mail art on this famous politician Otto von Bismarck. For 2011 there will be a Mail Art Exhibition in Bad Kissingen, Museum Obere Saline - Bismarck Museum. Press release will follow next.